Sometimes I add something to the shop simply because I want one. This is one of those times. This design is meant to be carried on your travels; it is easily hung from the rear view mirror of a car and closes with a strong magnetic clasp. It can also be quickly fastened to and removed from a purse or backpack (inside the bag is safer! ), a desk or nightstand lamp, a bedpost, or anywhere you want to keep it handy. 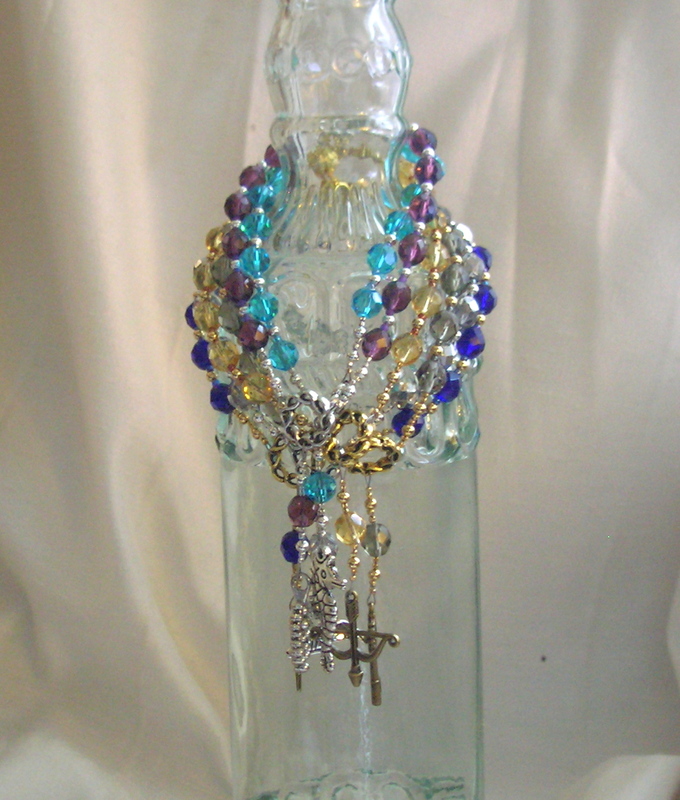 The design is based on my pocket prayer beads and comes with the same prayer; it’s intended to be easily attached and removed from a car’s rear view mirror or other fixture, but may also be used to decorate an altar or shrine, or to adorn a statue. Right now I have only a few of these beads in the shop (you can see what’s in stock here) but I am adding them as quickly as I can!